Bullymake supplies a monthly box for power chewers. They are capable of creating super tough toys which have all natural treats. Bullymake wants to make every pet to be cheerful & happy. All toys are tested by the heaviest of chewers which lasts long. These toys are one of the toughest toys which are designed in the USA. This bullymake is also featured in the Washington post, Pet faves, Golden wooes sugar, and My subscription addiction. Already over 100,000 plus dogs love bullymakes boxes. Follow our Bullymake Review for complete details. 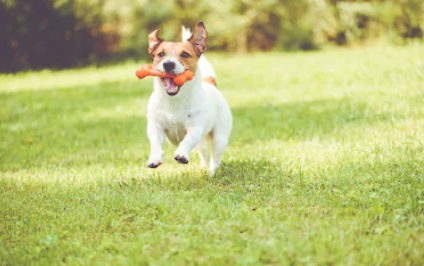 we know that if your pet is small, It doesn’t have strong teeth to bite most of the materials out there until if you personally own a Rottweiler or German shepherd. Probably their beast teeth can easily break bones and cut leather, just like a running machine. Every product of bullymake is made up of hardened nylon which is a very dense rubber. These toys are extremely clean for your dog’s teeth. Even if your dog destroys any particular toy, you can get one more toy for free within 14 days of time span. What is Inside Bullymake Box? Inside this bullymake box. You can find High-protein, High-quality treats which are FDA tested. Every box contains 2-3 extremely rough chew toys, 3-4 delicious and Nutritious treats which are offered for dogs. These kinds of toys can only be found in an exclusive bullymake box. This company has tested each toy by sending them to power chewing breed. There are various types of such as Pit bulls, Bulldogs, Great Danes, Labradors, Mastiffs, boxers, Cane Corso, Rottweiler, America Staffordshire terrier, Golden retrievers, and Boston terriers. Bullymake sends a monthly variety of toys to the subscribers. They also provide 14 days satisfaction & Chew-proof guarantee to the individuals. They can also design and manufacture their own treats at bullymake. Bullymake products are 100% healthy, Natural and delicious. 1)Bullymake Bow Tie Action Shot. Ordering bullymake products are very simple. You have login into their official website and select the order which you want. You have to fill all the information which is required to fill in the form including the addresses, Pincode and location. Just pick your plan, Tell us about your pet, and They would ship a bully box right to your doorstep. Bullymake is one of the leading company which has changed the game of power chewing dogs. This company started in 2014. Your dogs can have fun by using these products. These toys are extremely durable which comes with delicious treats. This company is serious about durability and quality. Generally, They will send your dog better-suited toy products. Bullymake offers four different types of plans like 1 month, 3 months, 6 months and 12 months plan. You have to $39 per month for a 1month plan, $36 for 3 months,$34 for 6months and $31 for 12 months plan. By choosing bullymake products, Your pets have ultimate fun which gradually improves the health of your pet without compromising. They offer premium plans to their subscribers. All the product of bullymake is manufactured in the USA. They also provide 14-day’s satisfaction guarantee.